Welcome to F. D. Roosevelt Elementary! 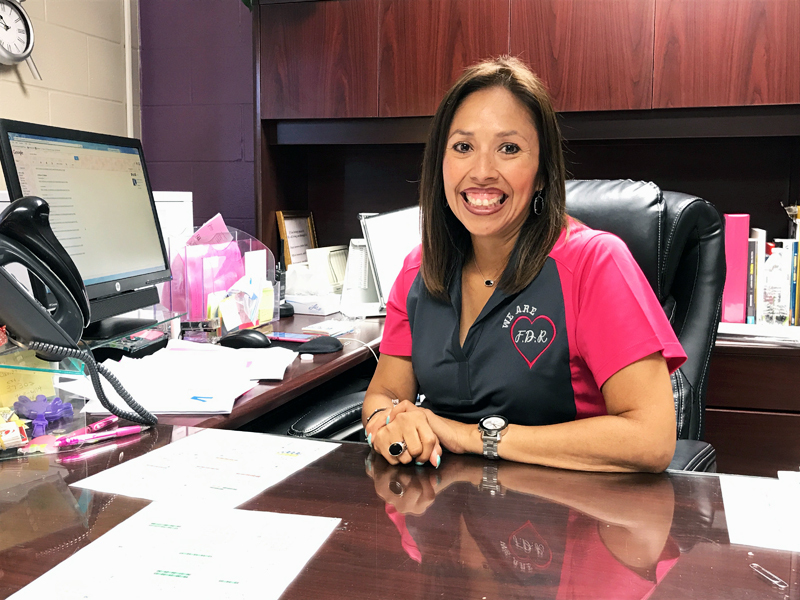 experience from the Weslaco Independent School District as a teacher, counselor, and administrator. Parents and teachers working together play a vital role in student success. Therefore, I look forward to working with you as you and your student are a part of the school. I have an open-door policy with parents, so please stop by and say hello, when you are in the building. If you would like to contact me, click on the link above. You can also reach me by phone at F. D. Roosevelt Elementary (956) 969-6750. I am looking forward to working with you and your student as we work toward an academically successful school year.